So what's better than our delicious homemade chai- artfully handcrafted from black tea, orange peels, cinnamon bark, and a special selection of whole spices? Oh...perhaps when it's concocted into a decadent homemade ice cream and drenched in a perfectly pull shot of our private espresso blend from Goshen coffee. This week's barista special is a treat not to be missed! 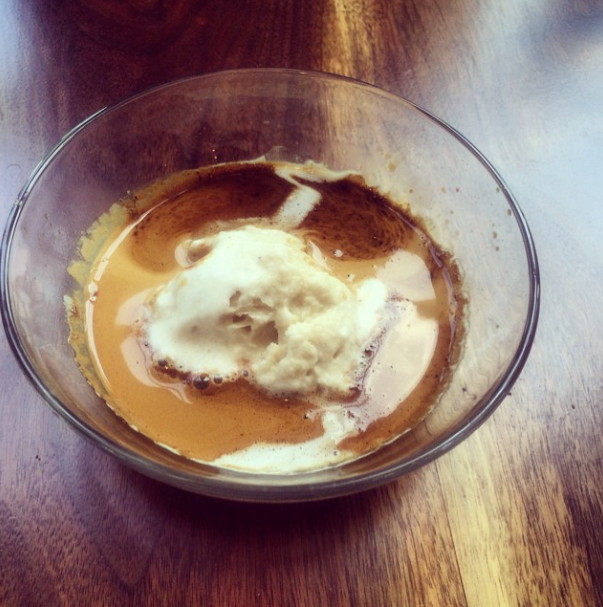 Ask our baristas for an affogato and enjoy a cool break from summer with Maeva's.